Chun Hyeong-pil: a man of artistic sensitivity. January. 18, 2019 07:30. by Mu-Kyung Shin fighter@donga.com. Jeon Hyeong-pil (pen name: Gansong, 1906-1962), who was one of the wealthiest men during the Japanese colonial rule, spent a large fortune in collecting and preserving Korean cultural assets. There are several national treasures among his collections, which are more valuable because they have been kept during the colonial rule. He built Korea’s first private art museum named Bohwagak (currently Gansong Art Museum). Gansong’s calligraphy reflects his good nature, audacity, integrity and honesty. We can guess that he was strong artistic sensitivity. His square shaped handwriting reflects his audacious, exemplary and honest nature. 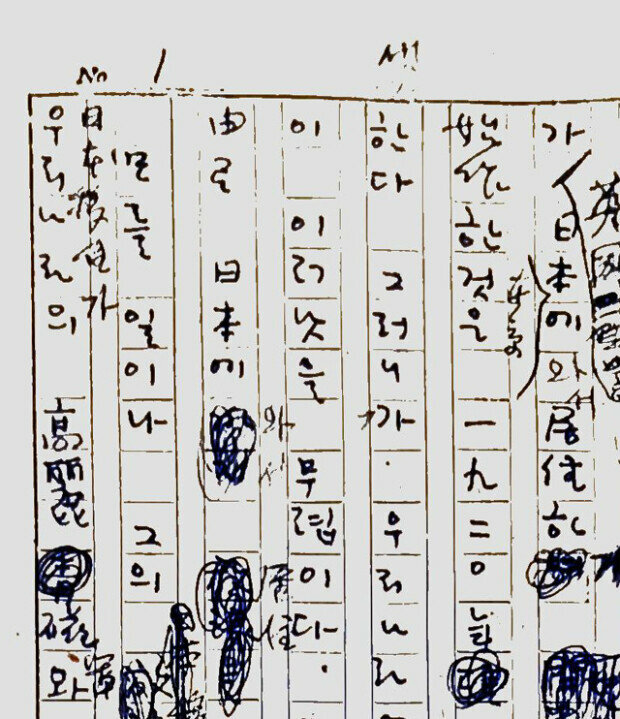 The big upper part of "ㅎ" shows that he is eager to become the best. His angled and strong strokes show that he was a strong willed and upright person. His horizontal lines are particularly long, which signal strong patience. His strokes are plump and the wide space between the letters show that he is generous and very composed. His writing shows that he was very thorough and determined, which is quite different from the success-oriented nature of other affluent families. The size and inclination of letters are quite varied and irregular at times. His smooth strokes, frequently found in artists rather than collectors, show that he had great artistic sensitivity -- the high quality of the collections. Though he was known to have a discerning eye for art, he probably did not have professional expertise of discerning genuineness, for his writing is far from that of a logical and meticulous connoisseur. He would have relied greatly on competent connoisseurs such as Oh Se-chang to build his collection.